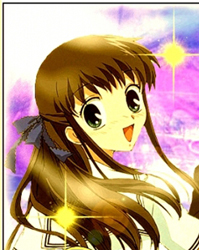 Вы здесь » *~ ♥ Fruits basket ♥ ~* » Флуд » Sing! Давайте просто пихать сюда тексты своих любимых песен и по возможности ссылку на их воспроизведение)) а? "Thinking of You" - ? Harsh words were said and lies were told instead. But love can make us weak and make us strong, and before too very long. Lost in you, captivated by you. Amazed by you, dazed by you. So tonight I'll sing a song to all my friends. Also to those we won't be seeing again. I still adore and I want to see once more. I just pray that you will love me and trust me. Laugh with me and cry with me spend those silent times with me. Love me evermore. Love me evermore. You and I were lovers. Our dreams were not soured by life. meant you never would be my wife. I was totally in love with you. I bathed in you. he's so yummy yummy, hey, you should get a best friend too. hello baby, can i see a smile? Can i come i am sitting alone? hey you should get a best friend too ( a best friend). Are you Ready for take-off! Are you going to drop the bomb or not???? Can you imagine when this race is won?? Текст песни Рыбака – Fairytale на русском языке.